Do you have a questions for us? Feel free to submit it here. Please allow one to two business days for a response. If you need immediate assistance, you may call 440-526-5200. To best serve you, please let us know how to direct your question. 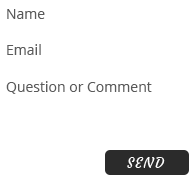 To be quickly added to our newsletter list, enter your email address below.